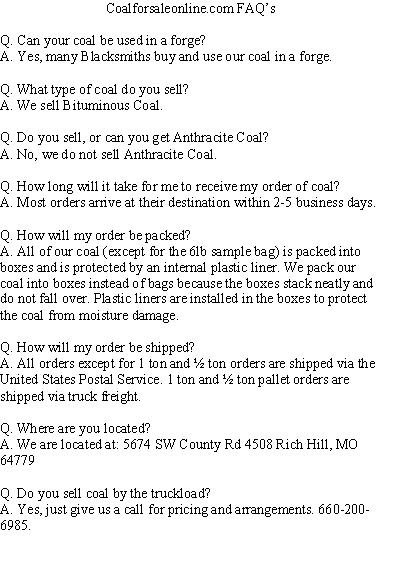 We have one location where you can pick up 25lb cases of coal in person. 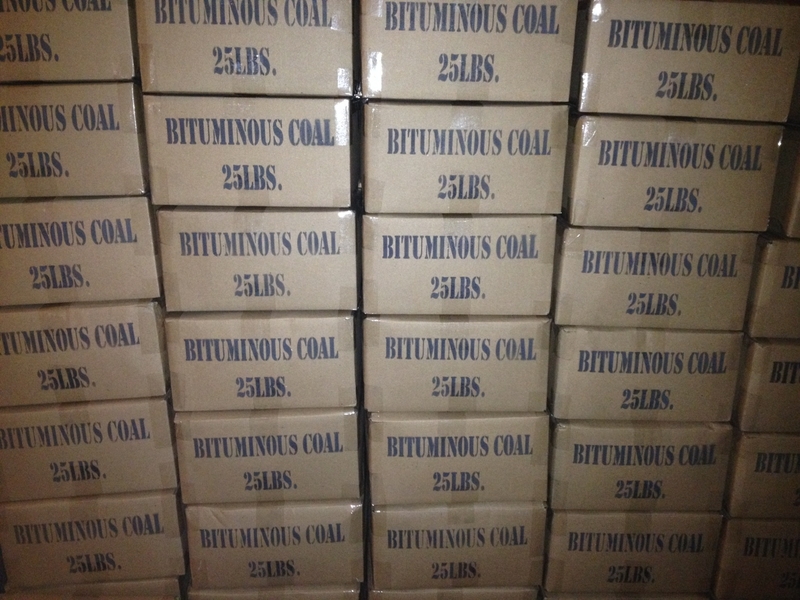 Unlimited quantities are available. Price is $6 per 25lb case if you pick it up in person (only $5 per 25lb case if you buy 40+ cases). Call ahead to make pickup arrangments.